Do you have a project, craft, art, hack, fix, or creation that utilizes InstaMorph? Well, we want to see it! 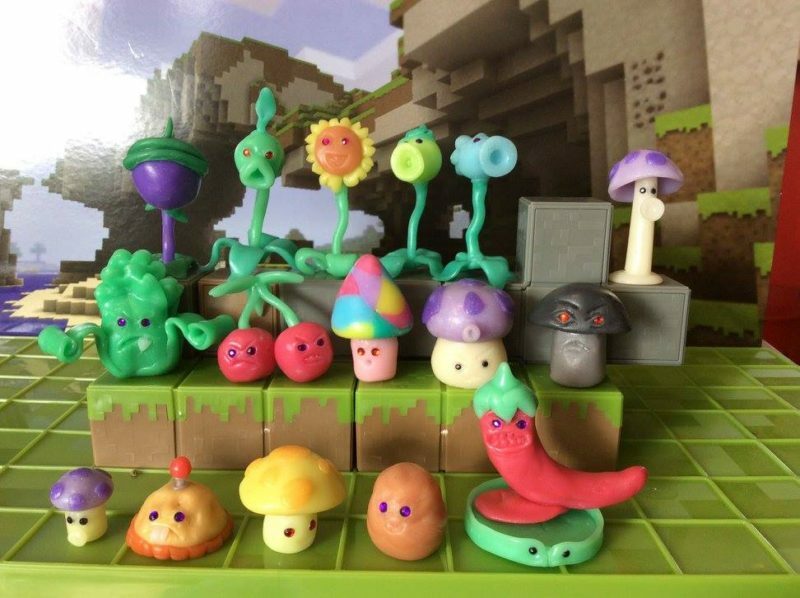 What we want is to see your amazing creations. So, we’re asking you to send us your photos, videos, or anything else that showcases your project and we’ll feature them all on our site. Then, the InstaMorph Team will review all the month’s submissions and pick the one that ultizes InstaMorph in a new, unique, crazy, or super practical way, and name that project as our “Morph of the Month”. What do you get for being the MOTM? First, we’ll brag about you a bunch on our Facebook page and put your project up on the winners block you see below. Then we’re going to shower you with some awesome prizes. You’ll receive one of our 32oz bags AND one of our new Pigment Packs. That’s a ton of brand spanking new InstaMorph, plus enough pigments to dye the entire batch whatever colors you desire. Your project has to use InstaMorph in it in some way. You have to actually make it, ideas or drawings are not eligible. Participants can only win once in a 12-month period. Prize is one 32oz bag of InstaMorph and one InstaMorph Pigment Pack. The retail value of this prize is $43.98. To enter, send an email with a description of your projects and at least one photo (but please, don’t limit yourself to one) to info@instamorph.com. Entries must be received before the last day of the month. We reserve the right to judge entries to the following month if received on the last two days of the calendar month and there are already a significant number entries in the current month. Winners are selected starting the last calendar day of the month and continuing up to 7th of the next month. Entries are judged by employees of Happy Wire Dog LLC. Winners will be announced by the 14th of the next month. Winners are notified via email and results are posted on our site and social media pages. If there are no entries in that months content, no announcement will be made. Odds of winning vary with entry volume each month. So, what are you waiting for? Send your photos and descriptions to ideas@instamorph.com to enter. Good luck! Clicking the button to the right will open your email application where you can send us a description and attach some pictures of your project to enter. 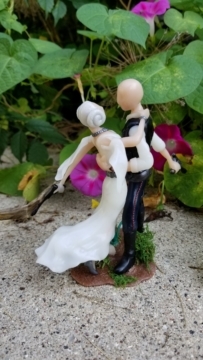 March 2019 – Congrats to Jason for winning our March Morph of the Month contest with contest with this Star Wars inspired wedding cake topper. See more pictures and read the full story.